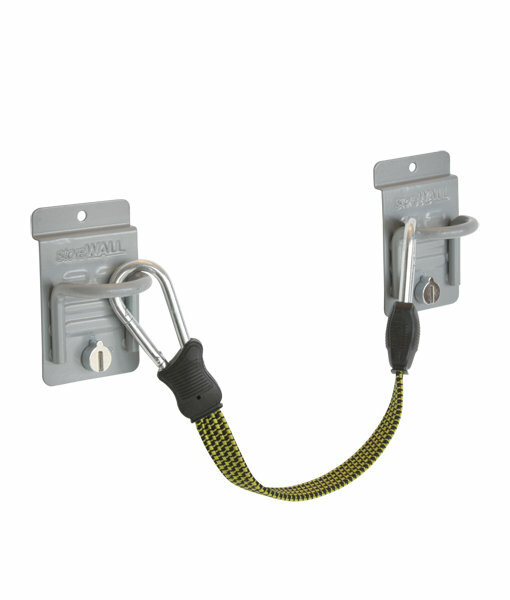 Small Bungee Hook Set: two closed loop hooks and our bungee cord can store a variety of items vertically on the wall, freeing up valuable storage space. 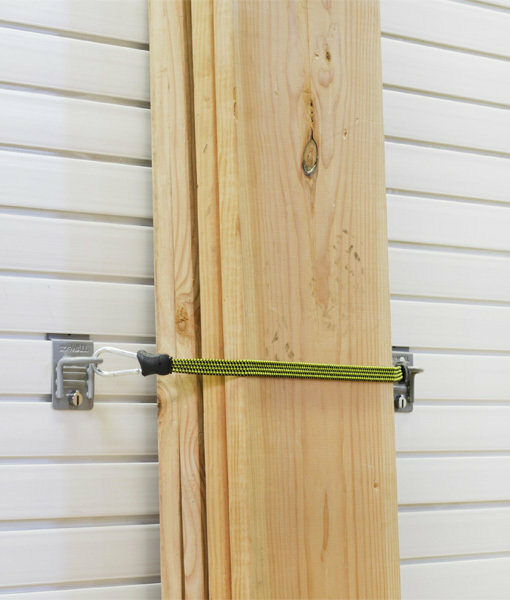 Perfect for items such as lumber, hockey bags or even the patio umbrella. 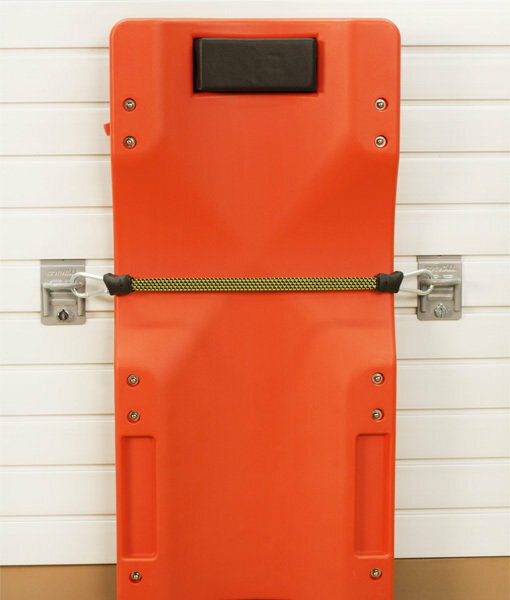 The Small Bungee measures 9″ without clips and extends to 33 inches. The bungee cord comes with carabiner hook.